Forums General Discussion Mystery Heroes XP rates slashed by 10%? I hope it's just a mistake. This is an intentional change that is meant to account for the removal of Assemble Heroes for this mode. Some of the experience that we award is for non-combat time, like when players are in Assemble Heroes or waiting for the doors to open. Now that we are skipping Assemble Heroes, there is less of that non-combat time to account for. 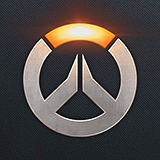 Mystery Heroes games will generally be faster now, and the amount of experience earned per minute should be roughly unchanged. Thanks for the explanation Mike! Seems somewhat nitpicky. Are you going to change Total Mayhem too due to the excessive overtime in that mode? Isn't assemble heroes only 30 seconds? That moment when you realize Blizz has been rewarding you for all that time you've spent doing nothing and thought "Dang... I wish they didn't make me wait so long to get into the action, so I can earn my loot." That doesn't make sense though... If the game is shorter due to the "Assemble your Heroes" phase being removed, then it makes sense that you're getting less XP since apparently the XP starts to tally as soon as a match is active. The XP accumulation formula is unchanged. The 'time' part of xp accumulation is unchanged, but to take this argument to extreme, if Blizzard created a 10 second mode, and still gave 150xp for a win, it would rapidly become an xp farm, as you would get 30xp for time, and 75 (on average) for the win. tl;dr it feels like blizzard being very stingy, and overdoing it, a 5% nerf would have been about right, as most of the MH games I know of turn into grind fests as no one can push consistently, waiting for the heroes which will let them push. I used to like Total Mayhem... until it turned into a Winston/Zarya bubble fest... I almost always felt obligated to play a Sombra every match just to help my team get damage to actually hit the enemy. I still don't really see your point though. They weren't directly "nerfing" XP gain. The gain got "nerfed" because they removed the useless Hero Select phase of mystery heroes, which made the matches shorter. Your suggestion of a 5% nerf is a direct nerf specifically to XP gain. How is removing Hero Select considered 'overdoing it'? It was literally pointless for that mode and was just more dead time in a match. They want the average xp gain to be as closely linked to time as much as possible. This means that they want it to be around 4xp per second. You get 3.5 xp/second (iirc), and then they make up the 0.5 in QP games through the added bonuses. But if you halve the length of the match, the 0.5 becomes 1, making the xp gain 4.5 instead of 4. I disagree with this as both the matches are longer, and the Queue times are longer than in QP. The assemble hero's phase only lasts for 30 seconds which is 5% of the overall gametime of ten minutes, so it seems a little excessive but I understand where you're coming from. But when I get into the match it says I have 60 seconds whereas before we would be on the Assemble Screen for 30 seconds then waiting for the match to start for some time? Am I remembering this incorrectly, just asking!